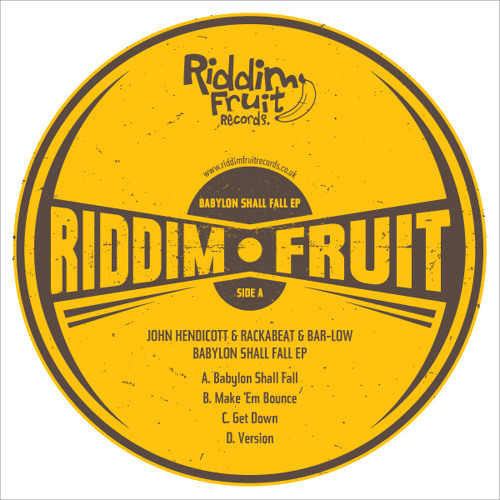 Its Bristols's time to shine with the new "Babylon Shall Fall" EP starring John Hendicott / Rackabeat & Bar-Low. The heavyhitting 4 track EP has every corner of breakbeat covered plus a bucket load of stomach churning bass and promises to be 1 of the biggest releases on Riddim Fruit to date. Out exclusive to Juno Download on 7/12/2011 and all major online stores 2 weeks later. love these sounds coming out of bristol...top work! Realy Big Tune! Love It! i need this by friday!!! Big up for all the kind word peoples! Just blow my mind !!!!!!!!! i approve of this wobbly noise greatly.